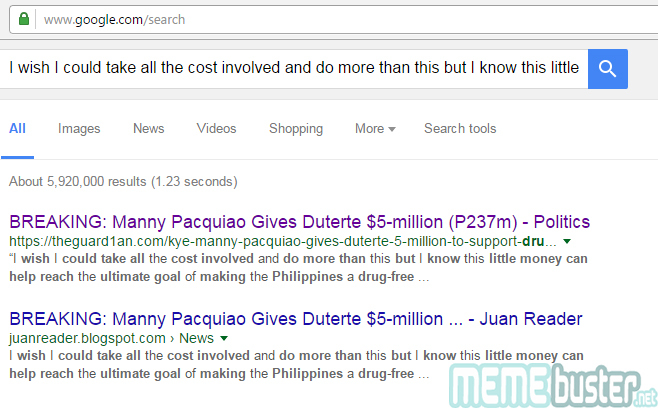 Pacquaio gave $5M to support Duterte’s drug war? It’s another SATIRE article! 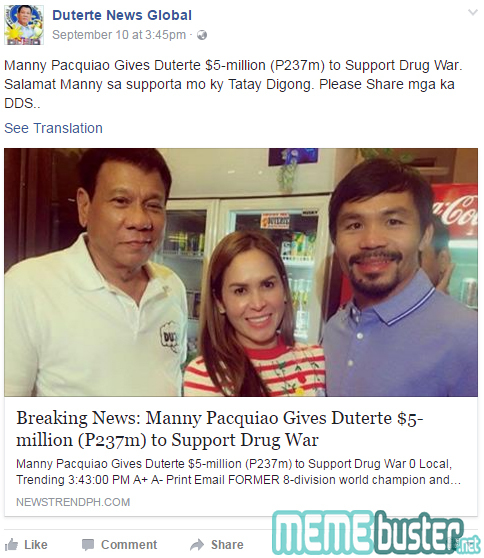 Busted: Pacquaio gave $5M to support Duterte’s drug war? It’s another SATIRE article! 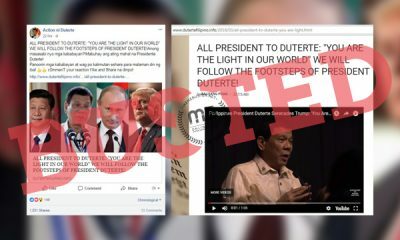 Several Facebook pages dedicated to President Rodrigo Duterte and his supporters shared articles about how Senator Manny Pacquiao gave Duterte $5 million to support the government’s campaign against drugs. 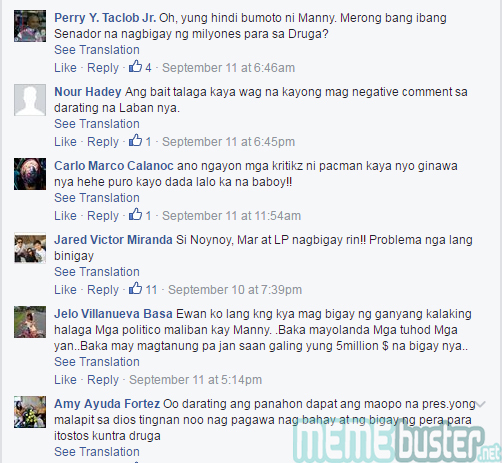 Even former Congressman Abdulgani “Gerry” Salapuddin also shared an article claiming the same thing about the boxing champ. 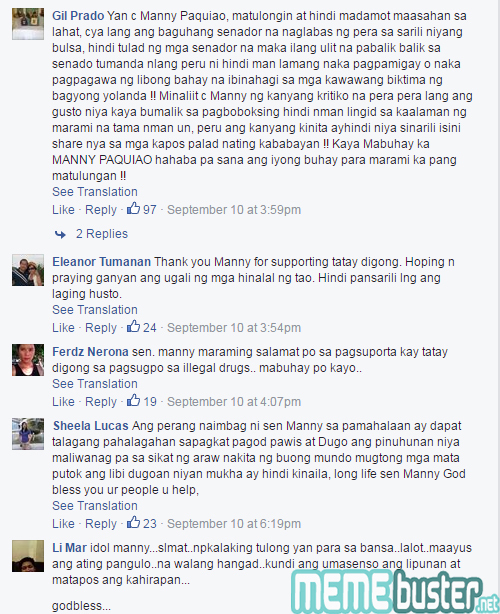 And Duterte and Pacquiao’s supporters sang praises for the politicians, especially to the boxer for his generosity. 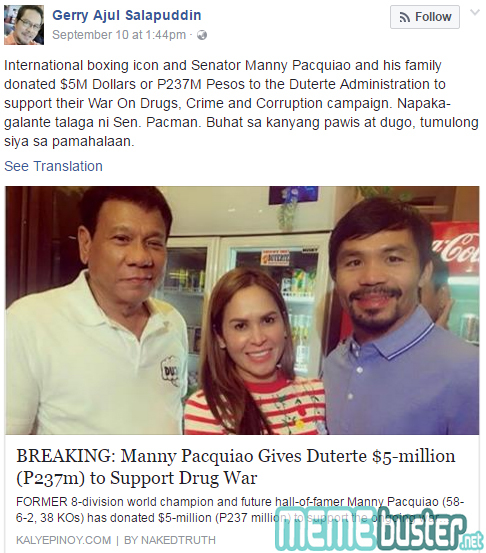 Duterte was said to have thanked Pacquiao for the support. 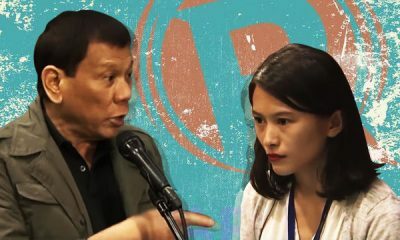 It turned out that the original source of the articles shared by the Duterte fan pages is theguard1an.com. 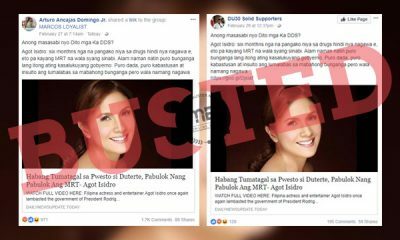 The content of the articles shared by these fan pages and The Guard1an’s article are exactly the same. If you’ve read Memebuster articles before, you’d know that theguard1an.com is a satirical blog. 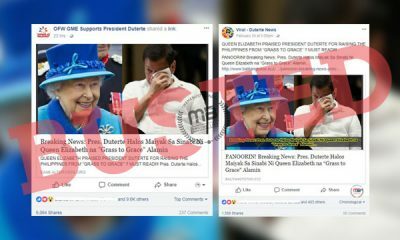 They only post articles for entertainment purposes, but the comments on the Duterte fan pages obviously showed how they took the satire article seriously. 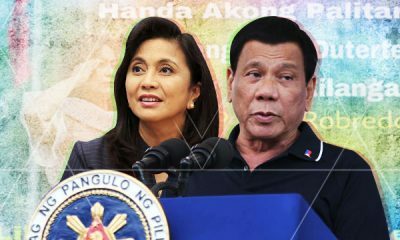 Busted: East African presidents wanted to meet Duterte? But it’s just SATIRE NEWS! 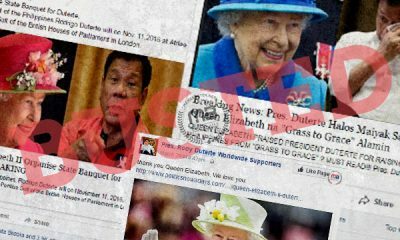 Busted: Does the UK Parliament endorse Duterte’s war on drugs? SATIRE ALERT!